It’s easy to see where he’s coming from, with the launch of the company having required a lot of hard work. Fortunately, Jay is no stranger to being at the coalface – he sold his first company, the marketing strategy and innovation consultancy Clear Ideas, to M&C Saatchi for £23m in 2007. Following the sale, he worked as the CEO of Simplicity Consulting, the management consultancy, until he had the idea of creating his line of craft soft drinks. “I am a big fan of craft beers,” Jay says. “I love the interesting flavours and quirky non-corporate image.” Luckily for him, the past decade has seen a proverbial craft beer explosion in the UK. For instance, the iconoclastic brewery BrewDog, famous for its campaigns for equality and against homophobia, was valued at over £1.8bn in January 2018. Bootstrapping the company with his own savings and with a capital injection from an angel investor, Jay set out to make his vision a reality. “We did extensive research into the craft drinks opportunity,” he remembers. Recognising the importance of getting the taste just right, he spent the first year sourcing ingredients and trying out over 200 variations to get the flavour just right. And it’s clear Jay is happy with the results. 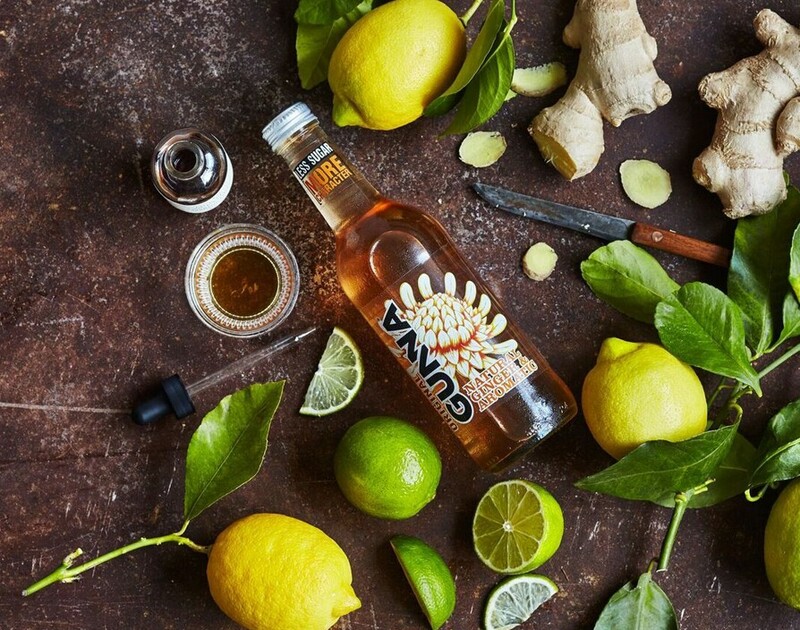 “This passion for the products and great ingredients means that in blind taste tests we beat established brands like San Pellegrino, Cawston Press, Fever-Tree and Fentimans,” he boasts. “That was a reassuring moment for us to move forward.” Gunna Drinks hit the market and it was well-received, given how many stores it’s in today. After achieving a sales growth of 300%, the startup decided to source more capital in 2018 to fund its growth. But rather than approaching VCs, Jay opted for another strategy. “At our stage of evolution crowdfunding and angel investors are the best source of funds as they’re willing to accept the risk of startups in return for the promise of very high returns,” he explains. “Venture capitalists typically look for brands that are a bit more established with revenues of [more than £1m] and approaching break-even. We will be close to that in a few months.” The idea worked like a charm and the company ended up smashing its £500,000 goal, raising £819,150 in total. The money will be used to accelerate the growth, hire more sales people and develop more flavours. Even though he quipped about the hard work he’s put in, we’re certain he savours the sweet taste of success.